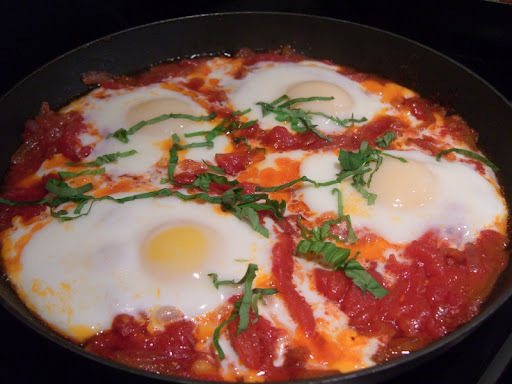 Ok, ok -- two Mario Batali recipes in a row risks revealing us for the fanboys we are, but Eggs In Purgatory sounded really good this morning. 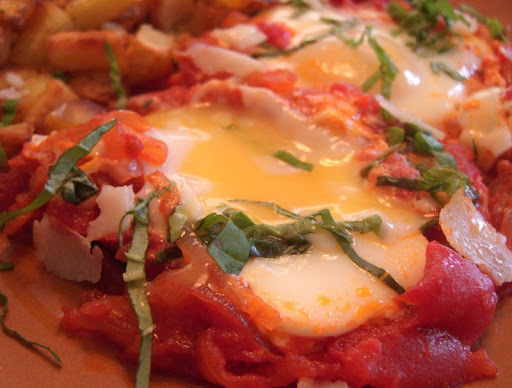 The recipe comes from Mario's Holiday Food cookbook and you can find the recipe here. We make it mostly without modification (other than omitting the olives -- I'm not a big fan). 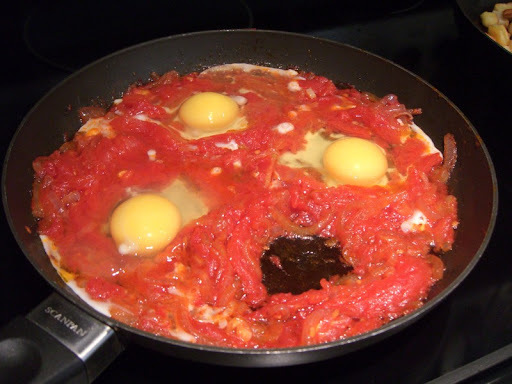 The key technique, which gives the recipe its name, is cooking the eggs in the sauce by making little nests and dropping the eggs in. As a variation on this recipe, we also do a Mexican-flavored take. We substitute cilantro for the basil, add some chiles and serve it with black beans.